Lease for 36 months, 10k miles per year, .15 cents thereafter, $2,995 down, bank fee $595, tax, title and license due at signing. Offers cannot be combined. No prior offers applicable. Must take same day delivery and in stock vehicle. Vehicle shown may differ from advertised model. Lease for 36 months, 10k miles per year, .15 cents thereafter, $0 down, bank fee $595, tax, title and license due at signing. Offers cannot be combined. No prior offers applicable. Must take same day delivery and in stock vehicle. Vehicle shown may differ from advertised model. The new 2019 Honda Accord is now available at Atlantic Honda and we couldn’t be more excited about it. Still looking good with its previous redesign, the Accord continues to draw attention with its smooth, fastback structure and distinctive front fascia and grille. It also leaves with a lasting impression thanks to its uniquely-designed LED taillights. There are also several wheel designs that can be equipped on the Accord for a clean and modern style. The 2019 Accord can be powered by three different engine options: 1.5-liter, 2.0-liter turbo, or a next-generation 2-motor hybrid system. Overall providing a thrilling driving experience and amazing fuel efficiency that every driver is sure to enjoy. And one of the best parts of the new Accord is that every trim level comes standard with the innovative Honda Sensing® suite of driver-assistive technologies. The new Accord is able to offer many great amenities, technologies and a comfortable, quiet ride. With great standard features like dual-zone automatic climate control, push button start, multi-angle rearview camera, auto high-beam headlights, Bluetooth® connectivity and more, it’s no wonder why so many drivers like the Honda Accord. 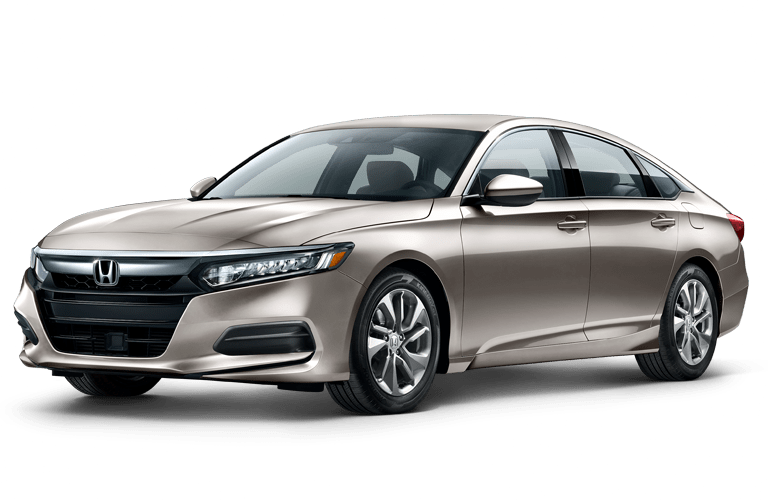 For more information about the 2019 Honda Accord, or to schedule a test drive, you can contact us online or by calling 631-328-2060.